Working with several clients to develop their up-stream product and corresponding messaging strategies for elements of their portfolio was relatively straight forward, right up until we needed to translate that strategy and messaging into actionable input for the down-stream activities. Then everything came to a grinding halt. I don’t use the word translate lightly. It felt as though there were three or four languages being spoken in the room at the same time. It was to say the least frustrating at the worst maddening. How do you translate the Up-stream message to the Down-stream message? Digging a little deeper I determined that it was much more than just a language issue. The promotions and branding teams that were put together to “package” the message into an attractive and readily acceptable set of collateral materials and campaigns came from different cultures where specific tools had been developed, practiced, and became so engrained that they could no longer accept input without it being in the format they were individually accustomed to. This was a challenge as there were at least six different formats that were being used. When you stepped back from the translation process it was amazing to see that the majority of these forms, templates and formats all used the same words and phrases, but they all had slightly different meanings due to the contextual difference from the user perspective. Words and phrases such as: segmentation, positioning, targeting, persona, value proposition all meant different things. This translation issue was significant and any hope for efficiencies went right out the window. My role was to make sure we didn’t lose effectiveness as well. Admittedly my thinking is not complete on this issue, but here is what I did. For those of you who have read some of my other posts you’ll know that I am a huge fan of writing down concepts as a vehicle of communications. It became clear to me that that would not be enough in this case. I had to make sure that the messaging did not become confused. I had to make sure that the Strategy was not “thrown over a wall” to those responsible for putting a beautiful wrapper around the execution of the strategic messaging. I asked myself what brought clarity to me regarding the positioning of the product. The answer was, perspective and context that I had gained through immersion in the customer environment. Somehow I had to translate that perspective that insight to the down-stream creatives. So? Here is what the team did. We held several sessions where market research findings were presented to the creative team with discussion. We made available digital recordings of customer interviews. We used their forms and we stayed intimately involved as a “technical advisor” to their creative process. We attended their creative workshops. The tone of our input was one of a knowledgable guide. When the creatives seemed to be diverting from the message we assumed that it was us that didn’t understand and we listened carefully. We would reassert an insight and show where we derived that insight from an interview or the research in real time. 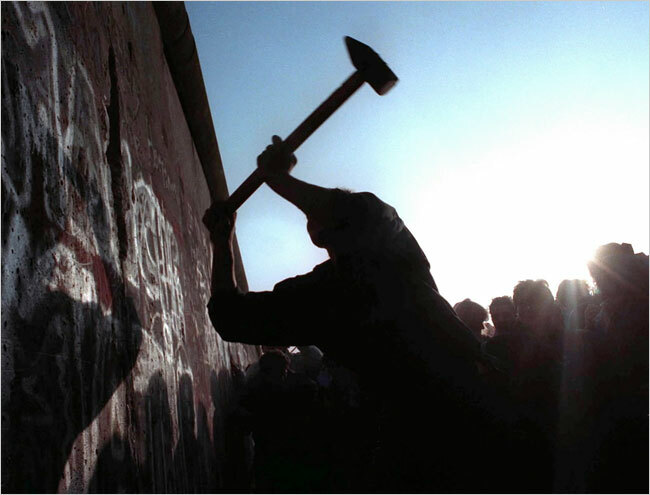 We did everything we could and more to “tear down the wall”. Did this approach work? Couldn’t hurt. Time will tell. 1. Don’t assume that just because we are all marketers that we speak the same language. 2. Sometimes we can’t see the walls that we ourselves helped to build. 3. 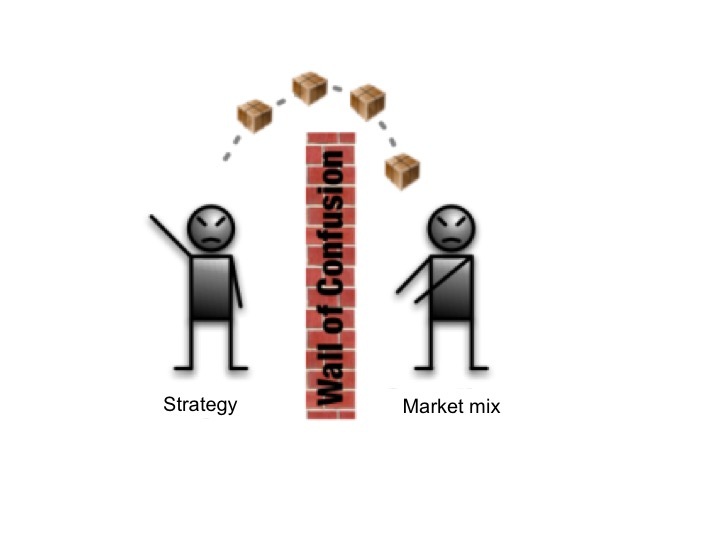 Tear down the walls, don’t throw vision over the wall and think it will land correctly.